Chapter 7 is short and sweet and to the point. 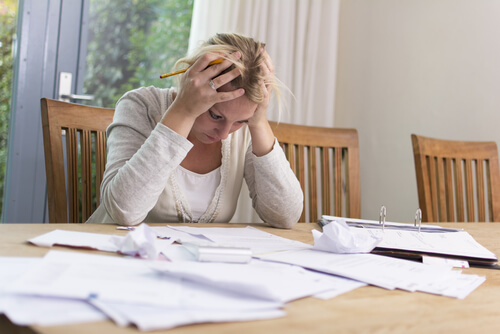 It often gets what you need—a discharge (a legal write-off) of all or almost all of your debts. But in SO many situations, Chapter 13 gives you so much more. A couple blogs ago I showed a simple Chapter 13 case works. In my example, two debts that cannot be discharged in a Chapter 7 case—a recent IRS income tax debt and some back child support—were conveniently paid over time by the debtor through a Chapter 13 case, while that debtor was protected from those two particularly aggressive creditors. Chapter 13 buys time and protection that Chapter 7 simply isn’t designed to provide. Here are just a few of the other extras that come with Chapter 13. 1. You can keep your possessions that are not “exempt,” instead of allowing a Chapter 7 trustee to take them from you. Retain much more control over the process compared to trying to negotiate payment terms with a Chapter 7 trustee. With Chapter 13 you have 3 to 5 years to pay for the right to keep any such possessions, instead of only the few months that the Chapter 7 trustees generally allow. 2. If you are behind on your first mortgage, you have 3 to 5 years to catch up on this arrearage, instead of the few months that a mortgage holder generally allows. 3. You can get a second or third mortgage off your home’s title, and avoid paying all or most of such mortgages, if the value of your home has slid to less than the amount of the first mortgage. You can’t do this in a Chapter 7 case. 4. If you bought and financed your vehicle more than two and a half years ago, then your vehicle payments, interest rate, and even the total amount to be paid on the loan can often be reduced through Chapter 13. This can enable you to keep a vehicle you could otherwise no longer afford. In Chapter 7 by contrast, you are usually stuck with the contractual payment terms. 5. In the same situation—a 2 and a half-year or older vehicle loan—if you are behind on the vehicle loan payments, in a Chapter 13 you don’t have to catch up those back payments. But in a Chapter 7 you almost always must do so. 6. If you owe an ex-spouse non-support obligations, you can discharge those in a Chapter 13 but not in a Chapter 7. These usually include obligations in a divorce decree to pay off a joint marital debt or to pay the ex-spouse for property-equalizing debt. 7. If you have student loans, with Chapter 13 you may be able to delay paying them for three years or more, which can be especially valuable if you have some other debts that are critically important to pay (such as back child/spousal support or taxes). And if you have a worsening medical condition, this delay may buy time until you qualify for a “hardship discharge” of your student loans. Straight Chapter 7 bankruptcy if often exactly what you need to get a fresh financial start. But one reason you need to talk with an experienced bankruptcy attorney is that sometimes Chapter 13 can give you a huge unexpected advantage, or a series of lesser ones, which can swing your decision in that direction. My job is to give you honest, unbiased, and understandable advice about these two options—or any other applicable ones—so that you can make the very best choice. Give me a call.